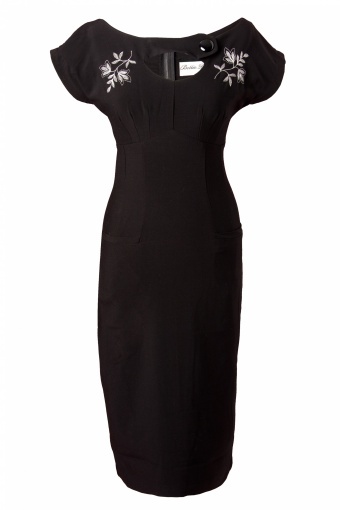 The 50s Sierra Black embroidered pencil dress from Bettie Page Clothing. Glamour, elegance, class and sexuality all in one dress. We immediately fell in love with this vintage inspired style. 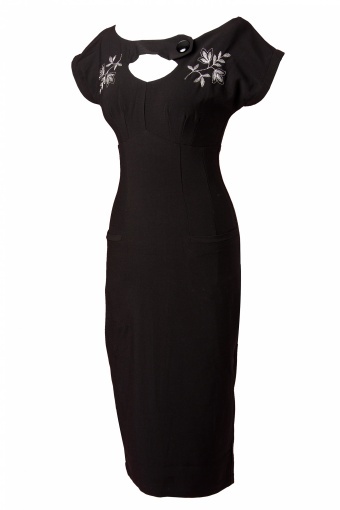 The fabric is a soft, cotton/poly 4-way stretch. 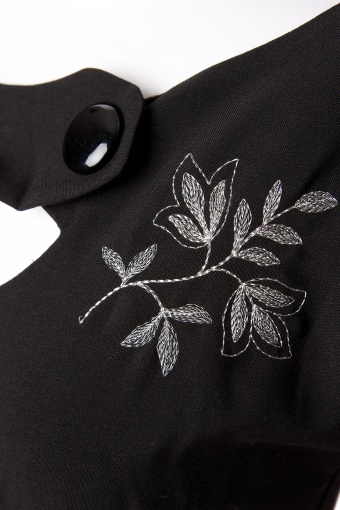 Adorable silver embroidery and a decent keyhole detailing. Two front pockets and zipper closure down back and small slit. SIERRA says it all and says it with style! Also available in Vintage Red & Green!